And then there's the clean up the next day (the downside). If you're the host of the party, you will be the one responsible for clearing the mess and putting everything back in order. Here are a couple of handy tips that might help you in the process. 1. Leave it all overnight. As strange as it may sound, everything looks better in the morning. Or, in other words, one thinks better on a clear head. Especially if you have had a drink or two, you will without a doubt have better ideas in the morning when you are all sober. 2. 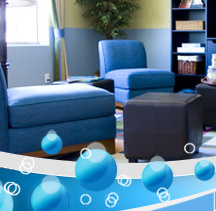 Employ a helping hand - House Cleaning Company London. If some of your friends have decided to crash on your couch or floor, politely ask them to give you a hand in cleaning up the mess. Of course, this should happen only after you have already offered them breakfast and a cup of coffee. You will be surprised how fast the cleaning will be done with someone helping you or even simply chatting with. If there is someone helping you, make sure you share the tasks. You wouldn't want to be bumping into each other doing the same thing. 3. Gather all of the trash. plates and so on. Get a couple of large garbage bags and go on a "trash hunt." Don't forget recycling! Gather all the plastic, paper and glass waste in separate garbage bags. Carefully scan around for cigarette butts and empty all ash trays, provided there has been any smoking going on indoors. 4. Check to see what's left. See if there is any food left or unopened bottles lying around. Refrigerate what you think you might enjoy later. Dispose of everything else. After you've emptied all glasses and cleared all plates, it's time to load them all in the dishwasher. Do this prior to cleaning for you will clean the floor, furniture and so on while the dishes are being washed. By the time you are done with the cleaning, the dishes will be washed, ready to be dried and put in their original places. Gather all tablecloths, hand towels and everything that appears to be dirty in the washing machine. Give the floor a nice and detailed sweep followed by mopping. For the mopping, use a little detergent to give it a fresh aroma. If you have any major spills on your carpets, make sure you call a cleaning company to take care of the matter. Don't try and clean it yourself, for you might damage the carpet further. 8. Put everything in order. 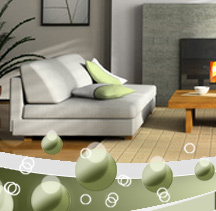 When everything is sparkling clean, make sure you arrange the rearranged furniture. Make it all look like as if nothing happened the previous night. Once you're done cleaning, all that's left is to start planning for your next big home party. Have fun! Join in and write your own page! It's easy to do. How? Simply click here to return to Event Tips.